As usual I will unselfishly put in all my knowledge, it may get coarse, boring and repulsive to some players at some point so if you find the need to voice it out please do it constructively I do not know it all but I do hope my over 700 days of game play will let my experience help you in any way possible. What is new in 8.0? The beast team was good, it let me clear all the way to the last seal but that is where I was stuck... for weeks I couldn't clear the stages, I was giving up hope and I lost interest in the game, I just log in daily and do nothing, my beast team was max, skill level was max (Except medusa) and there were days I didn't even log in at all. Why? Why dark mono you ask? Dark and light is the only 2 color that doesn’t decrease in damage by other colors, dark average higher in damage compare to light so this is the main reason why people choose dark. Many of the farmable SM bosses like Hades, Odin, Sirius & Saruman are also dark so making a strong dark team is not that difficult. I’ve tried and proven that a good Dark Norse team will be able to clear 90% of the SM/GM battles out here and others proven that it can even clear transmigration, so if you’re selected by the dark lord to create a dark team, don’t hesitate, the power awaits you *evil grin*. To create the super high damage greek team. The Norse team set the standard for all other team. Elf dark mono with him as leader is suprisingly good. If you like to snipe, this is the leader for it. 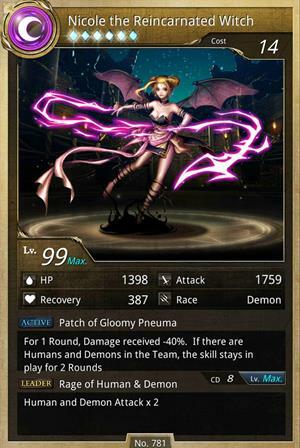 Greeks can be the highest damage team available to summoners but they are very luck dependence. Artemis leader skill allow 1 enchanted dark runes to drop for every 3 dark runes dissolved and having dual Artemis will allow 2 enchanted dark runes to drop instead so if you combo a large amount of dark runes, you can expect a lot of enchanted dark runes dropping instead of random runes thus creating lots of combo, more enchanted dark runes being dissolved the stronger your attack gets. Recent nerf of Greeks and many new enemy skills like combo shield has made Greeks quite useless and much less powerful. Without any base increase of dark attack like Endor + 200% or PR Loki + 250% to dark attack, Greeks team rely on the drop of enchanted dark runes to increase their attack, the more sky drop the better the damage. Since combo count is what make Greeks powerful, healing is not an issue when you have sky drop, 3 heart runes will easily gets you to recover fully when you get sky drop. On the other hand if you fail to achieve sky drop, your damage is so low you won't even be able to kill a simple enemy like elf. 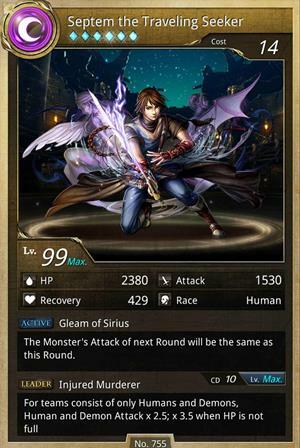 Many summoners fail to pass even stage 1 of any battles due to insufficient dark runes on a new board. Greeks are hard to master but as expected from the highest bursting team available to summoners. ralfhero Wrote: I've leveled my Artemis to skill level 10 without using any harpy so I can share from my experience that Greeks are very very hard to learn and use. Especially after the recent nerf by MH. I will recommend summoners to play Norse team instead since there is PR Loki. I love the constant runes drop that Artemis give but as more and more enemies are created to counter Greeks, I been setting my Artemis aside and playing my Norse team more. Greeks depend on sky drop to boost their damage, so the more dark runes you dissolved the more chance a good sky drop will happen. This is why runes convertor cards are important for Greek team. I will list below some example of Greek team for you to consider making. So you want to get the biggest boom? Active them all, PR Endor last, Hades will give all Amoli4 active for higher burst. Only use PR Endor if you plan to burst once. 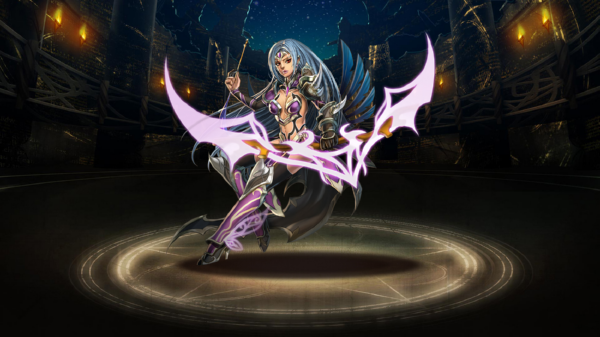 She will create 3 top rows and when 3 top rows are gone, you will have no more dark runes. She goes well with Artemis + Zeus combo for higher burst. It is not a must to use Mono dark for Greeks team, I started off my Greek team with the team below, allowing me to clear 6th seal. In my journey of learning Greek I learn the different ways people play with other Greeks team yielding some amazing result. ralfhero Wrote: Greek dark mono is very versatile, with just Artemis from diamond seal card you can get a Greek team running, this is the main reason why I love using them. The rest of the cards can be obtain from friend seal or farm at island but the best Greeks team will only come from diamond seals and GM/SM battles. I cannot think of a more versitile team combo then Norse, if you have many backup cards to switch according to the stages requirement, this team can clear 95% of the battles MH dish out, i've tested it personally and cleared almost all of the battles. There is just so many ways to use this team, more and more new cards are coming out and they will compliment Norse team even further. If anything, this team at least set the benchmark of any team you want to compare to, other teams may burst stronger but they will not be as versitile as this team. [Pros:]Able to handle almost all of the GM/SM battles. 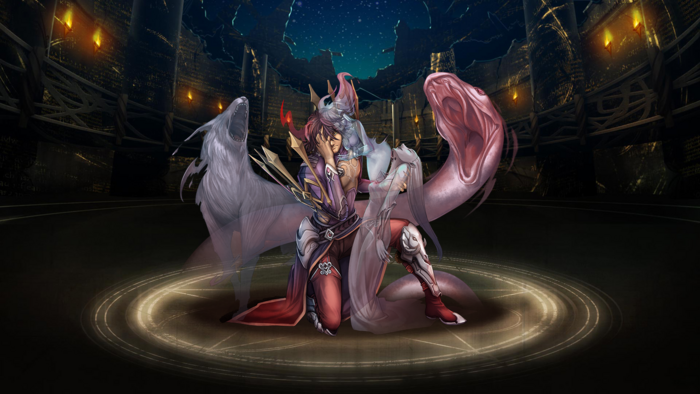 Since Loki got the PR, there is really no other card that can replace Loki as leader for dark norse unless of cause you got the foxy daji. PR G dragon may subsitute PR Loki but you won't have PR Loki + Odin team skill which made the team less versitile. Generally Dual PR Loki is better for farming and PR Loki + Daji is better when you can constantly make 5+ combos. This 2 is the soul of Norse team. 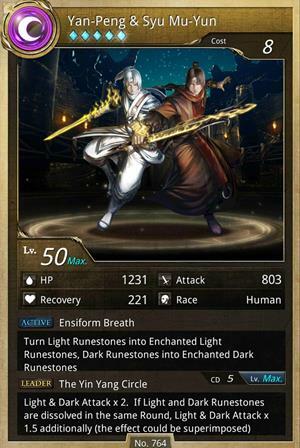 When they are fully evolved and above level 50, they have a hidden team skill that will turn all light and heart runes to enchanted dark runes. All Norse dark mono should compromise of them. PR Loki do not need to be leader for the hidden skill to be in effect, even as ally the hidden skill will activate. Refer to for replacements if you don't have the cards or Team Cost to use the team. Some of the major cards that is suitable to be in Norse team, obviously not everybody like the standard team and some won't have certain cards in their inventory. That leave you a slot, it will be perfect to have a 2nd Odin inside but you need to be over level 230 to do that so below are the cards I recommend as the 5th member of the team. So I heard you like to burst? I hope this will give a brief understanding of Norse team. 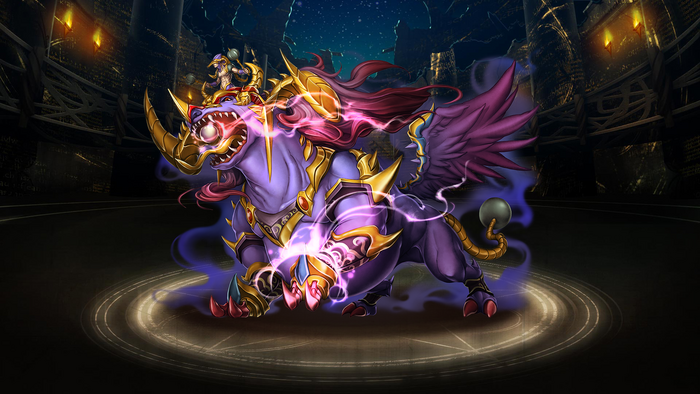 Using him as leader and ally Daji is not bad as a defense team, this is actually one of the top defensive team, some stages recommend this to win. PR Loki + PR Loki or PR Loki + Daji? PR Loki + Daji is better when you can constantly make above 5combo. If you know the boss will have combo shield, use Loki + Loki. Sniper team has been thought of for some time now before PR Egyptian came out, it is the new cards that came out that really made this team the hype. PR Egyptian is best used aganist wood and light enemies, they increase 3x damage to wood and light but only 1.5x to the rest. 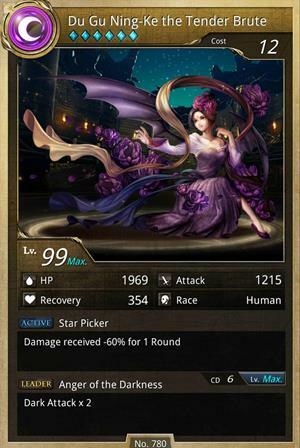 This also affect active skill that deal dark damage. Units that also deal dark damage and can be used as member for this team but the best will still be the 2 units above. I'll be going into runes stacking method which is very useful for Dark Mono especially when you're using Daji as ally. Do note that I am not the inventor of Pyramid stacking and I just name it that since it look that way. I want to thank my beloved qtphi21 for showing me the link so I can learn this method of runes movement. This method is explained in Chinese forum and I just merely translate it over and adding many of my own words so if you're interested in looking up yourself please head over to http://forum.gamer.com.tw/ and mainly search under user WatPoint as I learn most of the skills from his thread. Q..What is pyramid runes stacking?! 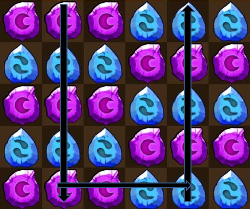 If you're not using Greeks, after doing runes convert you may end up with too many runes of the same color, having a whole block of same color runes will lessen the combo count and cause your burst damage to drop. Especially when you using Daji you will want as many combo count as you can make. From the pic you can see I've used the same amount of runes and use the pyramid style to get a higher combo count. This way of stacking will allow a 8 combo (not counting extra runes drop) and with daji this will give a +700% to your attack, 200% more compare to the normal way of stacking runes. 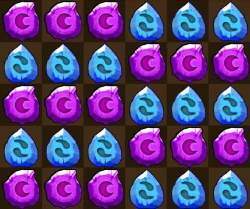 After the initial dissolve of 4 combo runes, the pic above show what runes are left before another 4 combo are dissolve. Another advantage of pyramid style runes stacking is after the initial runes dissolved, the next 4 combo are dissolved 1 by 1 allowing more movement in the runes box, more movement will give you higher chance of combo appearing from the dropped runes. This is how I plan for 8 combo but come out over 10 combo without the use of dual Greeks. If you plan to use PR Endor with Daji any where inside the team, you must really learn this scramble and unscramble method of moving runes, this will increase your burst heavenly but at the expense of a turn. For the ease of understanding we will take the perfect scenario. Anyone who used Daji skill will know this is the best arrangement you can ever make, giving a perfect 10 combo. If possible, remember to end your movement at the spot where you started else you will have 1 combo less. Since the PR of beast, GSD is making beast team a power pack and can be consider a final team if you got the right cards. Mono dark beast team been around for some time but PR GSD really set it apart with 300% beast attack as leader skill and letting the team rise to be suitable as end game team. 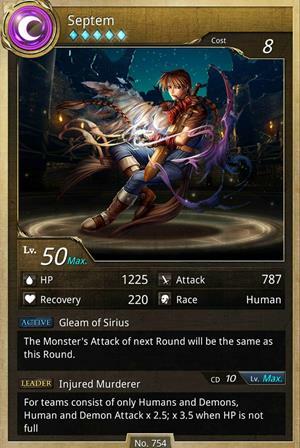 Max at 5 CD which is easily obtained and allow you to burst 3/5 turns. Green king will double the beast attack so it is worthy to put him there. Say, may I interest you in a team that can kill all boss immediately? Without moving a single runes? So your dark paladin will finish off the boss. 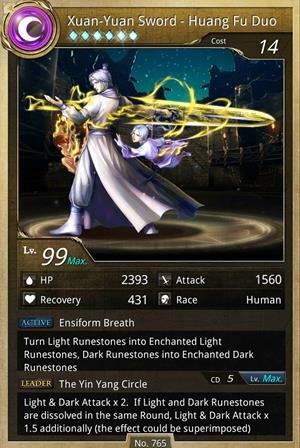 Dual Astaro, any cards that give you more dark runes will be ok as member, you'll be needing a lot of dark runes to sustain the short time high amount of dark runes dissolved. I've just started my research on this Fiend team and on paper it looks promising If you have any experience with it do share and let me know. So for now this will just be an ideal, promising and looks deadly. *Ask any questions you may have, I'll be happy to answer and I'm sure TOS Forum user will be happy to answer too. ralfhero Wrote: I am lazy >_< really…. If there is any mistake or you have better suggestion, please let me know so I can change it. 26/12/13 - I've added more info on Pyramid Style of Runes Stacking. Great guide! Just in time for me to build my next team, Dark Mono FTW! Awesome, this will welcome future members to the dark side and answer all their questions. Thank you for the great guide. Pity I don't have Felix, missed him in the recent event. Is there any cards that can be used as replacement? Also, if you don't mind me asking for clarification, for Norse deck, you mention using Gemini+Scorp+Loki. I don't have Scorpio, using Baphomet replacement. Gemini changes light runes to enhanced heart runes. Baphomet changes heart to dark. The dark runes are already enhanced. Loki's active is change all dark to enhanced dark. How does it work? (12-14-2013, 05:33 PM)damien87 Wrote: Thank you for the great guide. Pity I don't have Felix, missed him in the recent event. Is there any cards that can be used as replacement? sadly no, felix is unique and without him you just lost a good card for burst without dark runes in sight. Since bursting 2 times is the motive here, might as well use Loki's skill to max the 1st burst. 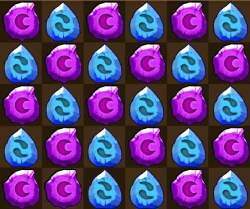 Gemini only change all light to enchanted heart runes, the current heart and dark runes are not enchanted. After you burst with all the dark runes using pyramid style there should be little dark runes left that is why it's either use Loki there or Loki skill will be wasted. If you want 1 turn burst, Mono dark will win your Mono red plus there is no color that mono dark fear, using your mono red aganist water will be terrible. If you learn the scramble and unscramble of Endor and Daji the damage will fly. If recovery wise then poppy will win. Odin when active at 10% will increase attack by 250% Endor (PR) active will also increase attack (don't remember how much) so medea's 150% cannot be compared.